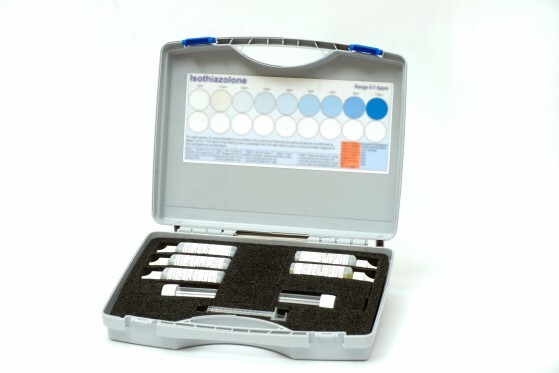 Our Isothiazolone kit includes all the equipment & reagents required to measure Isothiazolone levels within a range of 0-7.5ppm. The kit includes a sample pots and syringe to perform the tests. Places to monitor Isothiazolone: Monitor levels of dosage in closed systems and cooling towers where isothiazolone based products are dosed. Other applications where isothiazolone is dosed within the range of the test kit (0-7.5ppm). The following are some chemical products that can be tested using our Isothiazolone Test Kit. • WTP C32 • WTP C48i Please Note that chemical specific methods are available for the above products.